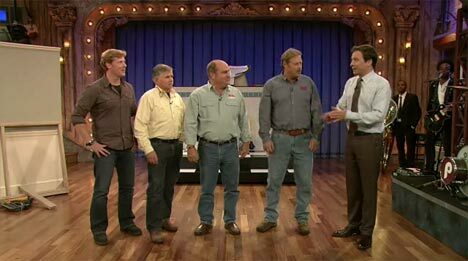 The Guys from Ask This Old House made an appearance on Late Night with Jimmy Fallon, where they showed Jimmy a few tips on dealing with some common household issues. They tackled everything from punching holes into walls, to how to flush golf balls down a toilet. The best part is, no one got hurt. It was fun to watch, so in case you missed it you can check out the videos after the Read More.